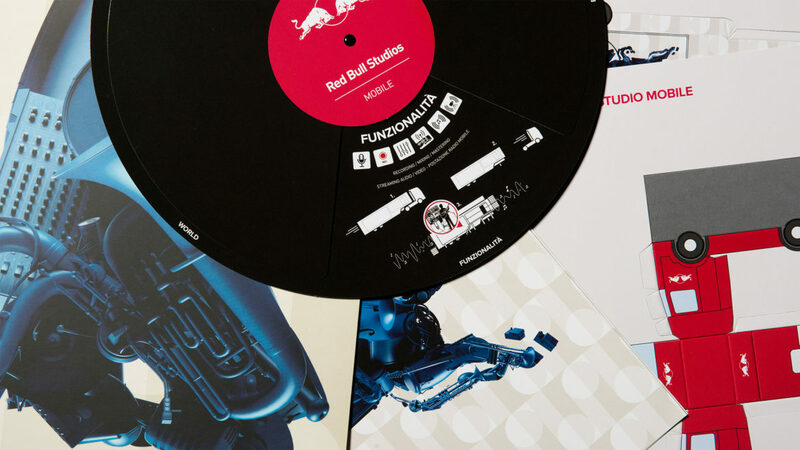 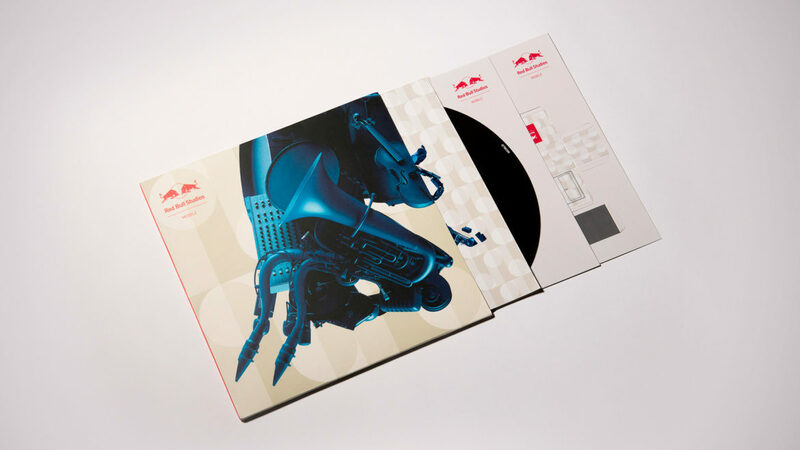 Red Bull Studios is a network of recording studios around the world. 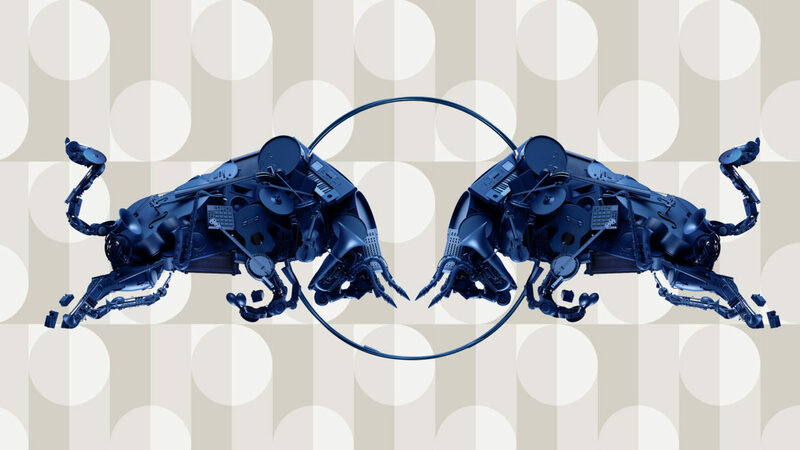 Internationally known artists of all genres are called to spend a period at the Studios to create special projects. 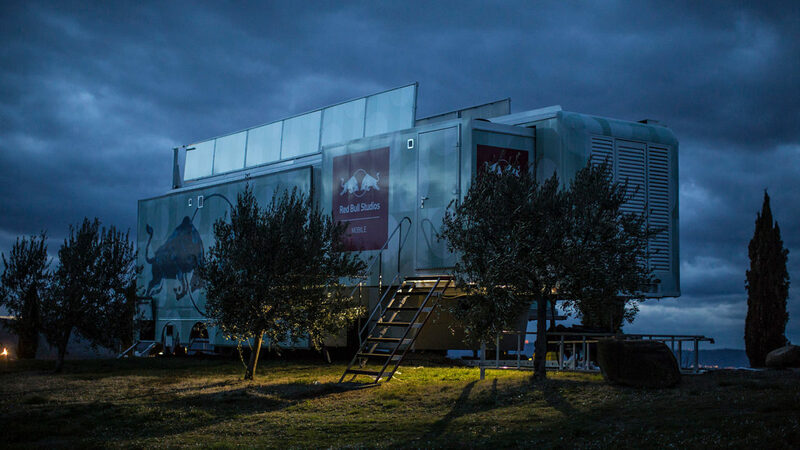 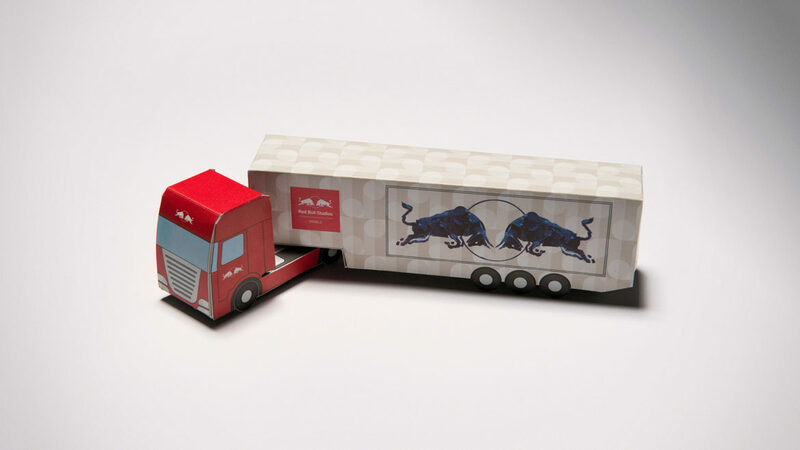 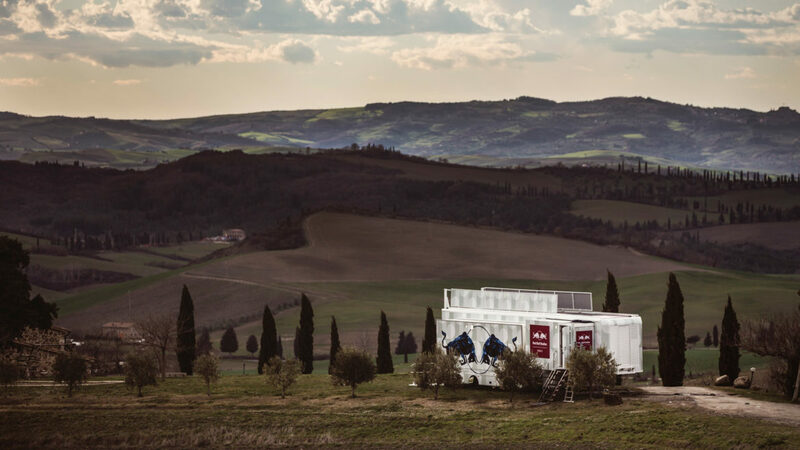 Red Bull Studio Mobile is the first mobile studio of the lot, and the first Italian one. 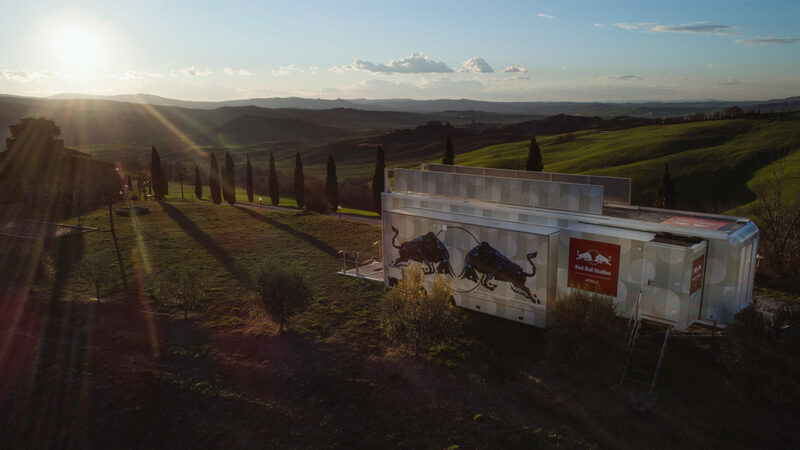 Red Bull Studio Mobile doesn’t belong to a single place, it can be moved all around Italy: a meeting place that fosters collaborations between artists. 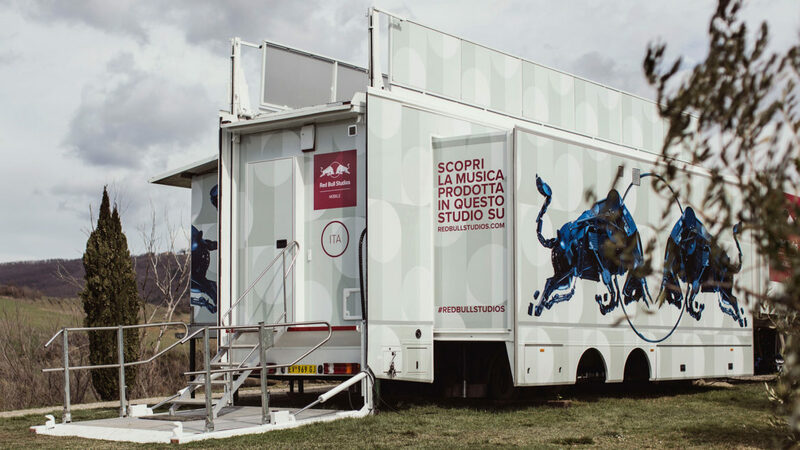 To launch this very special new project, Sartoria was asked to create the graphics for the complete truck external branding and the press kit concept and graphics, which has been directly mailed to the media, and people in the music industry.